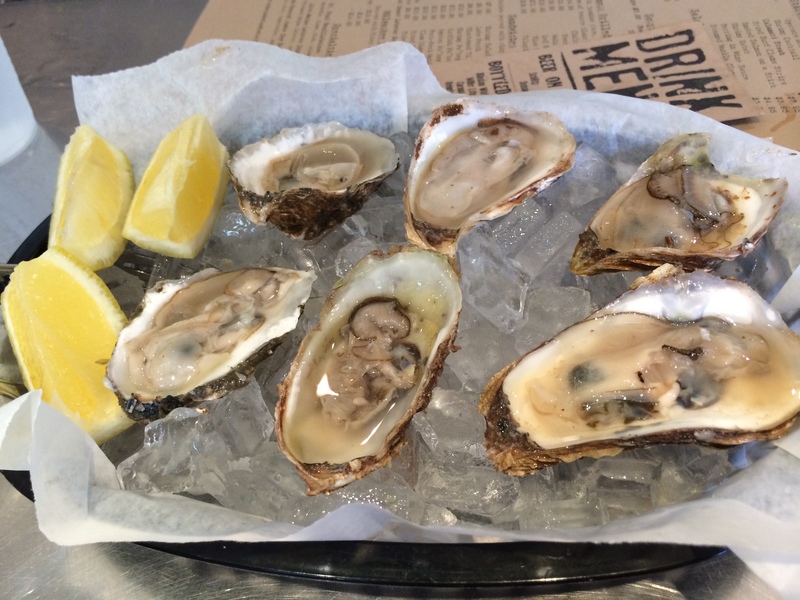 Having visited the Milwaukee Public Market earlier during our visit, we knew that we would have to return for the Oyster Bar run by the St. Paul Fish Company. 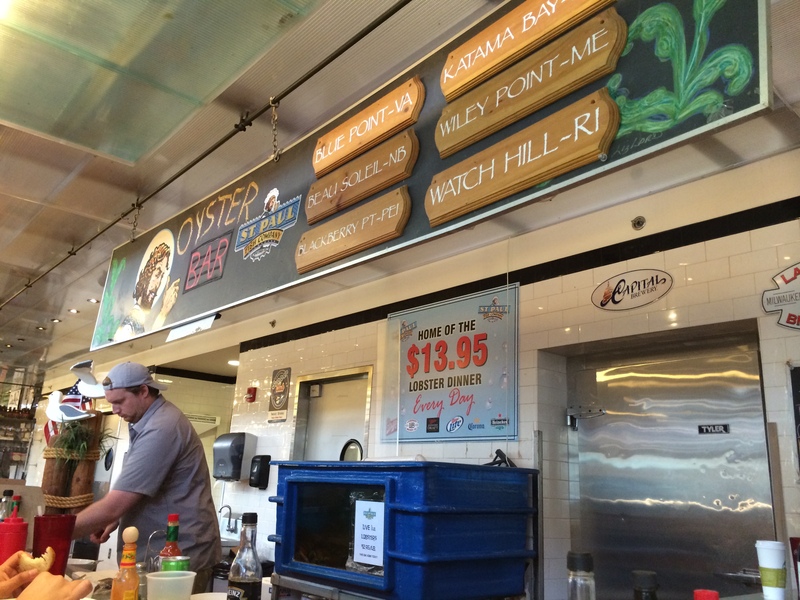 Not only do they offer several varieties of oyster shooters, there is also an expansive display of freshly caught fish and shellfish. Look at all those lobster claws and crab legs! 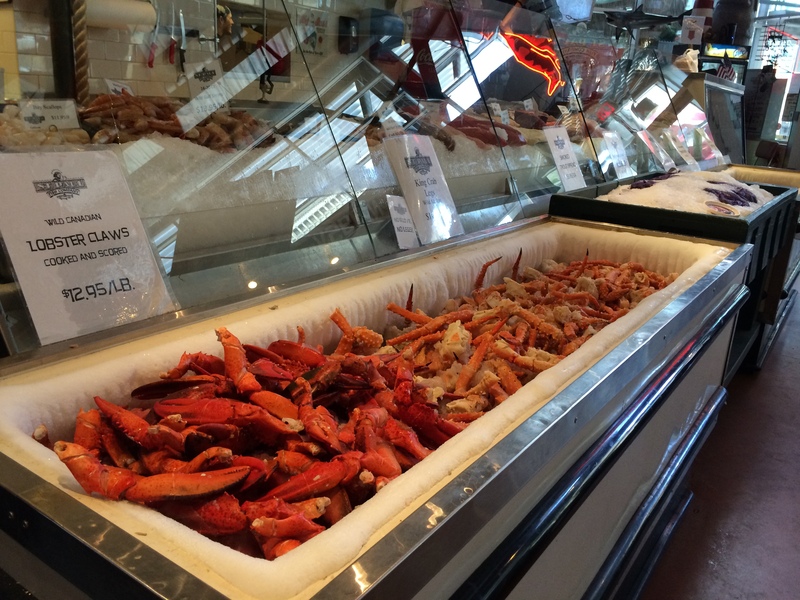 I saw beautiful scallops, huge jumbo shrimp, and slabs of fish ready for slicing. First, we sampled three types of oysters: Pickle Point, Martha’s, and Wiley Point Fresh, tender, and easily slurped with a small dollop of horseradish and cocktail sauce. I really do love fresh oysters . . . and fried oysters too for that matter. When they are sweet, juicy, and well chilled, they are just wonderful. 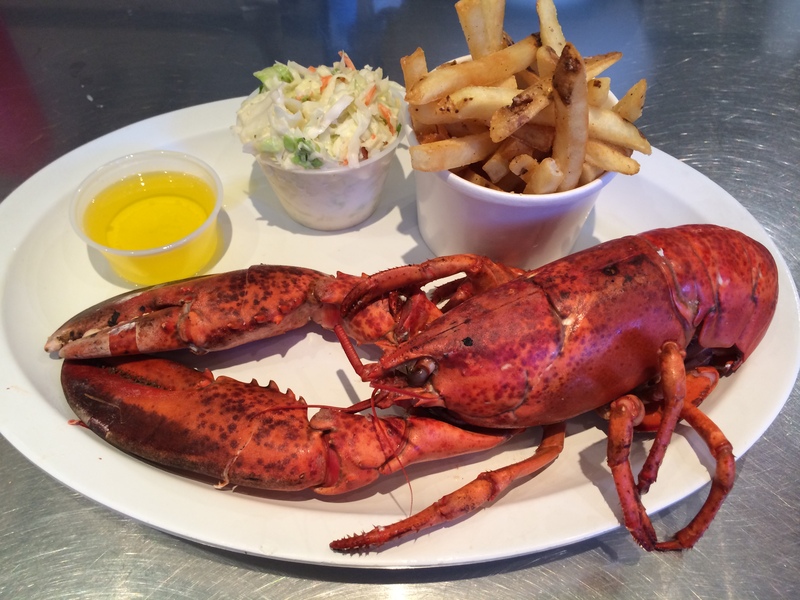 Next, it was on to the main event – the Lobster Dinner. This 1 lb lobster was so satisfying. First of all, it looks beautiful on the plate framed by the dipping butter, cole slaw, and fresh french fries. Second, the meat was sweet and juicy, and I was able to easily dislodge it all quite easily from the shell. 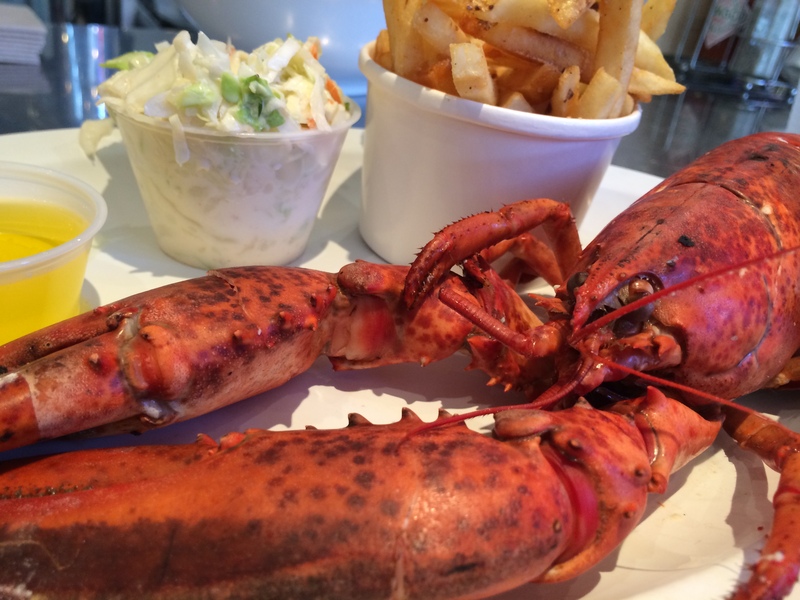 Lobster was always one of my favorite foods as a young child (yes, early expensive taste). This was a lovely, simply prepared tribute to one of my favorite crustaceans. Hello, sir. Thank you for filling my belly.